Barking at something unusual can be done by any dog. But to protect your family and properties you need a good guard dog. They are not only watchful but also take action if needed. Here the list of top 10 best guard dogs. 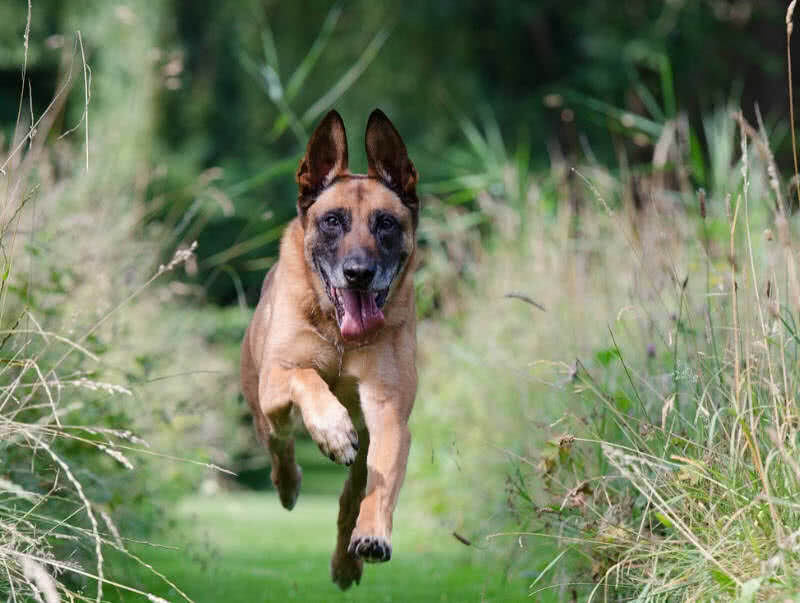 At first look, Belgian malinois may get mistaken for a German shepherd. Actually, this breed is small and short haired than German Shepard. At the same time, malinois is an excellent police and guard dog. They are very bright, alert, loyal, active and stubborn. To raise your malinois puppy as an obedient guard dog, give him consistent training from the puppyhood itself. This intelligent breed learns tricks quickly. The important thing you need to know about Belgian malinois is they have strong protective instincts. They are suspicious of strangers. There is also chances of being territorial. The level of aggression of your dog depend on the quality of socialization they got on training. Rhodesian ridgeback is a muscular, intelligent, loyal and independent dog that originally bred as a hunting dog in Africa. They are very protective of their family and aloof with the strangers. Ridgebacks also bark only when they found something unusual. Ridgebacks naturally have prey drive as they originally developed as hunting dogs. But if they trained well they won’t make many problems. 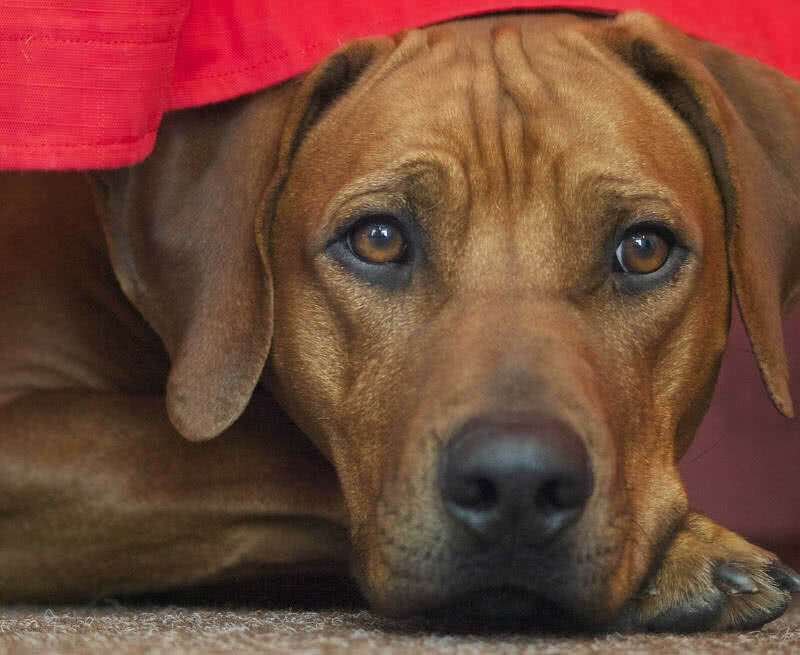 In case of strangers, ridgebacks may attack easily as they have strong protective instincts. 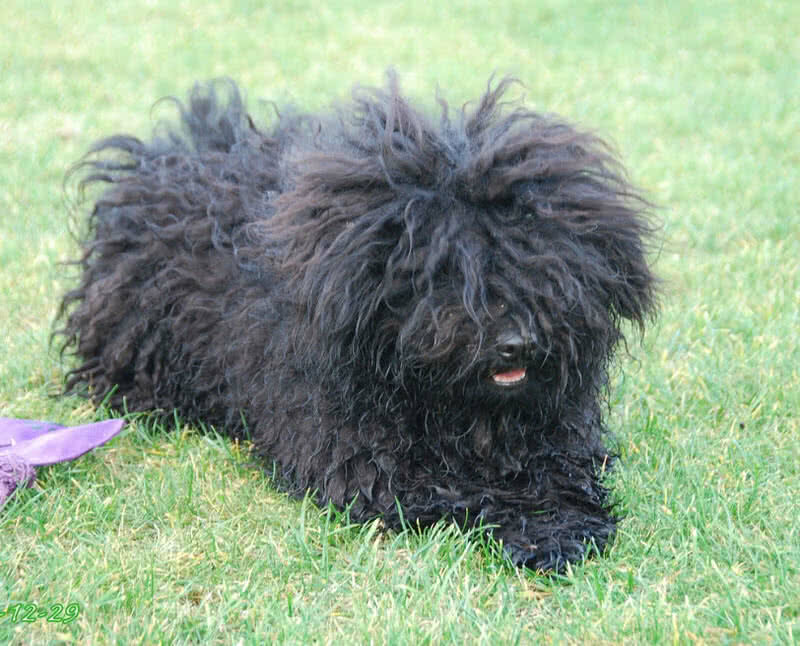 Puli is a medium-sized, herding dog that popular for its long corded coat. Originally bred in Hungary for herding. Puli is intelligent, courageous, energetic, faithful and loyal. 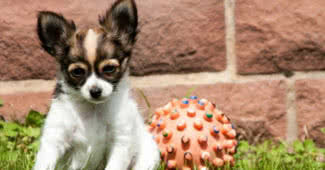 This breed can be an excellent guard dog as they are very protective of their family. Puli is an alert breed and bark at anything that he found as unusual. They also wary of strangers. Without proper socialization, your dog can become too suspicious and may bite easily. Komondor breed is originally bred as a livestock guard dog. It is an excellent guard dog you can own. This mop like looking breed is gentle, independent, and calm. Komondors are devoted to their family. Most importendly komondors can be patient with children. At the same time, they are very suspicious of strangers. This exceptionally great guard dog has big muscular body. 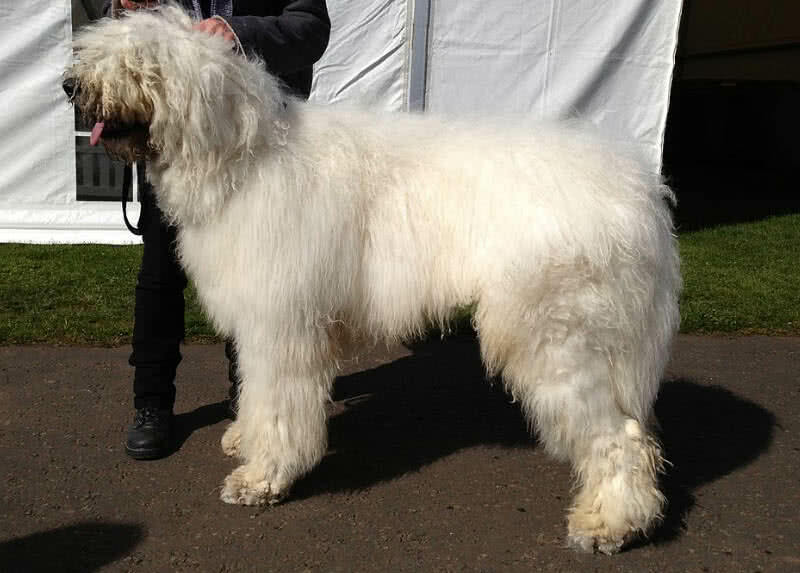 A fully grown male Komondor stands 64-69 c.m in height and weigh up to 50 kg. So, with this size and over protectiveness Komondors can be exceedingly dangerous to strangers. They may also attack other animals from neighborhoods. Rottweiler is a muscular, obedient fearless and alert dog. As naturally protective, this breed can be a great guard dog for your family. But remember, your Rottie would listen to you only if he is properly trained. 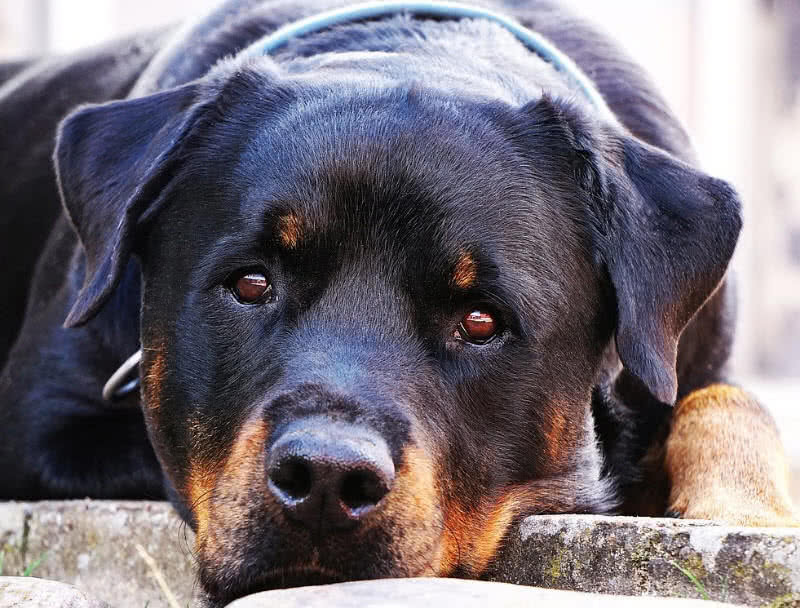 Rottweilers would take action against anything that found as a threat to their family. But as an owner what you need to make sure is your Rottie’s territorial instincts are under control. To do so, you need to make sure your dog is properly socialized. Akita is one of the difficult breeds to raise. 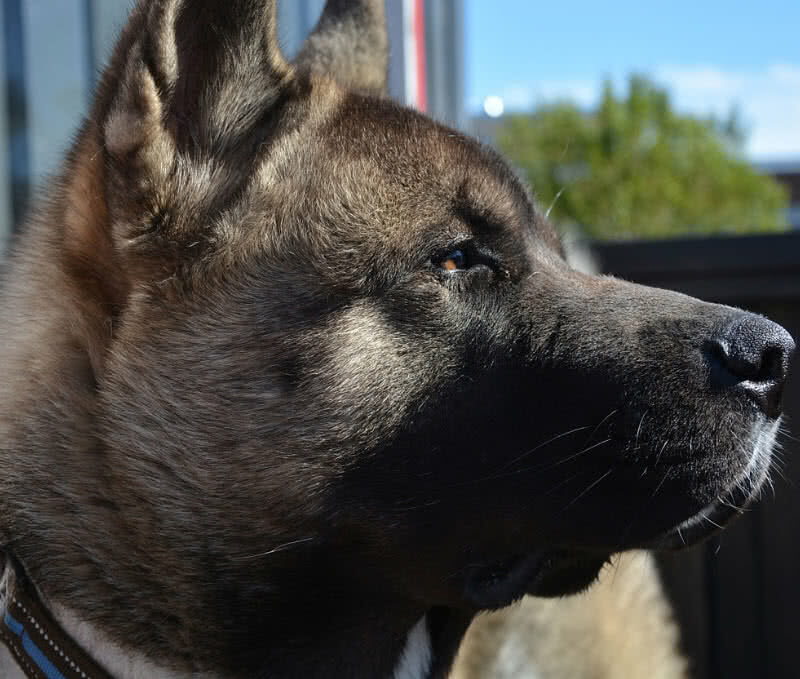 But a well trained Akita can be a great companion as well as a good guard dog. This large breed is alert, courageous, dignified and loyal. Akitas are very affectionate and respectful with the family. Thankfully, they won’t bark without a proper reason. They are naturally very suspicious of strangers and show no hesitation in taking action if needed. At the owner’s command, a well trained Akita shows no problem in welcoming a guest. German Shepherd has a great reputation as a natural guard dog. This dog is originally bred in Germany to herd sheep. Apart from the unwavering loyalty and protective instincts, German Shepherd is easy to train a dog. This devoted breed will always alert you if something unusual happening around your home. Being a large sized breed, they can also take down any intruder if needed. If owners demanded, a well trained German Shepherd doesn’t show any aggression towards the house guests. 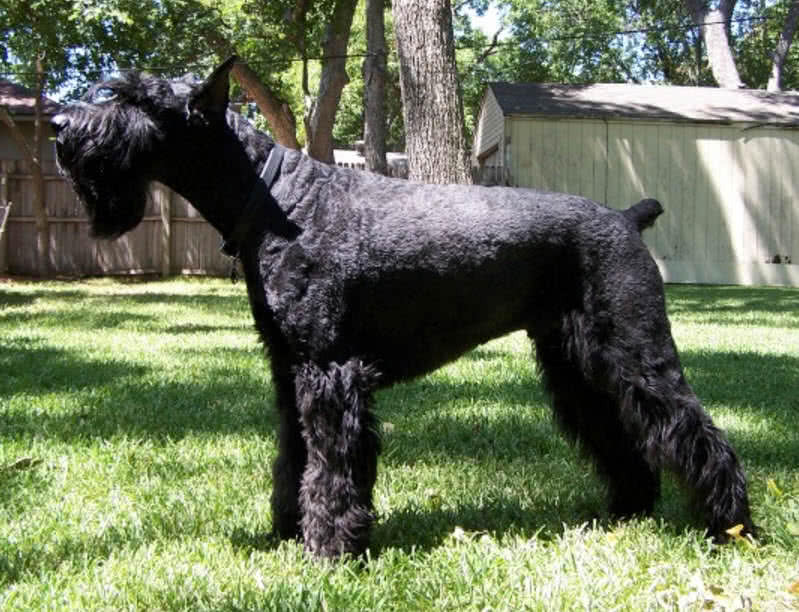 Giant schnauzer is a large, powerful, intelligent and bold dog. 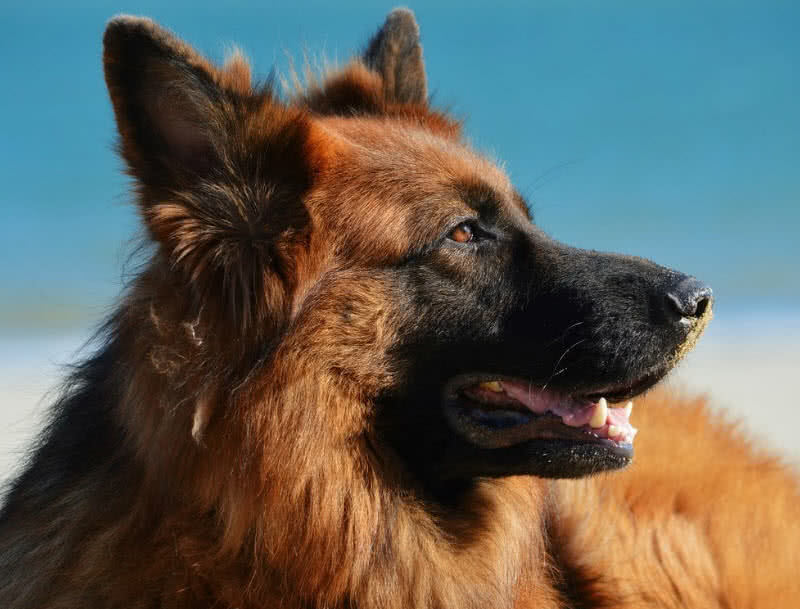 This breed is well known for working as a military dog in World War 1 and 2. Like German Shepherd, giant schnauzers are easy to train. Deep loyalty with the family and strong territorial instincts make giant schnauzer a great guard dog. A fully grown male giant schnauzer measure 66-71 cm in height and up to 48 kg in weight. This intimidating size along with dark facial mask could terrify any stranger. The protection instincts will naturally come to this breed. They will alert you with a menacing bark and may also bite if the threat persists. 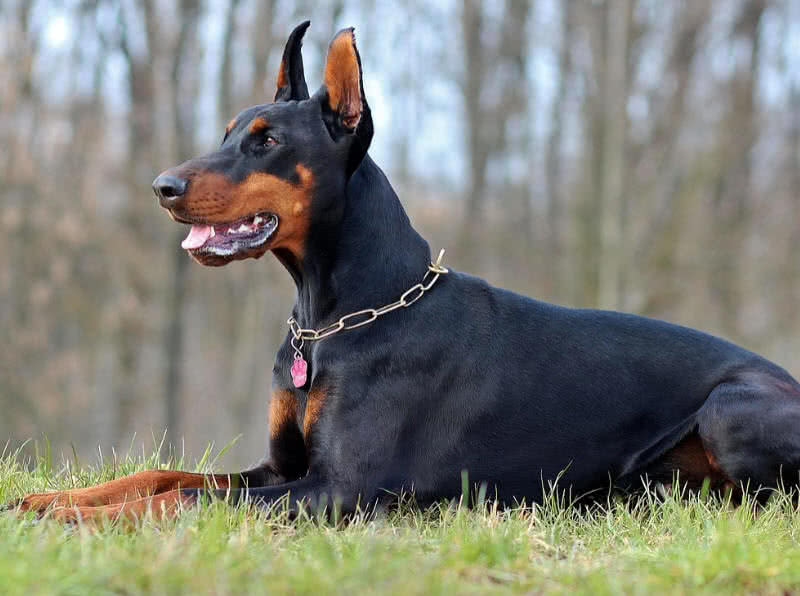 Doberman breed is popular for being a great family, military and guard dog. They are very energetic, alert, intelligent, loyal and obedient. You should consider him as a family member rather than just a dog. So that the dobie would made a strong bond with your family and guarding becomes his prime purpose. The Doberman who left alone won’t become so energetic or alert. Early consistent training and socialization is a must for Doberman. The good news is they will learn quickly. A properly trained dobie becomes extremely loyal and won’t show over aggressiveness. Doberman is not all a shy dog. They would take immediate action against the intruders. Doberman’s barking is very intimidating. So, barking itself is enough to keep the strangers at a distance. If the suspicious person won’t leave, they would attack. As a fast and agile breed, Doberman could reach the intruder in short time. At the same time, this breed shows deep respect for their owner’s command. So, when you have a guest at home, if you demanded your dobie would remain calm and step back. Probably the best choice you could make if you are looking for a perfect guard dog. With an intimidating look and strong protective instincts, bullmastiff can make a great guard dog. This breed can also get along well with children if they well trained. To be an obedient guard dog, bullmastiff demands enough attention from the owner. You should take him as a part of the family. Otherwise, the dog would become destructive. A well-raised bullmastiff becomes extremely loyal to the family. With intense socialization, bullmastiff could easily distinguish between good and bad people. All well-trained Bullmastiffs would protect the family at his level best. Nothing unusual would have happened without being unnoticed by him. 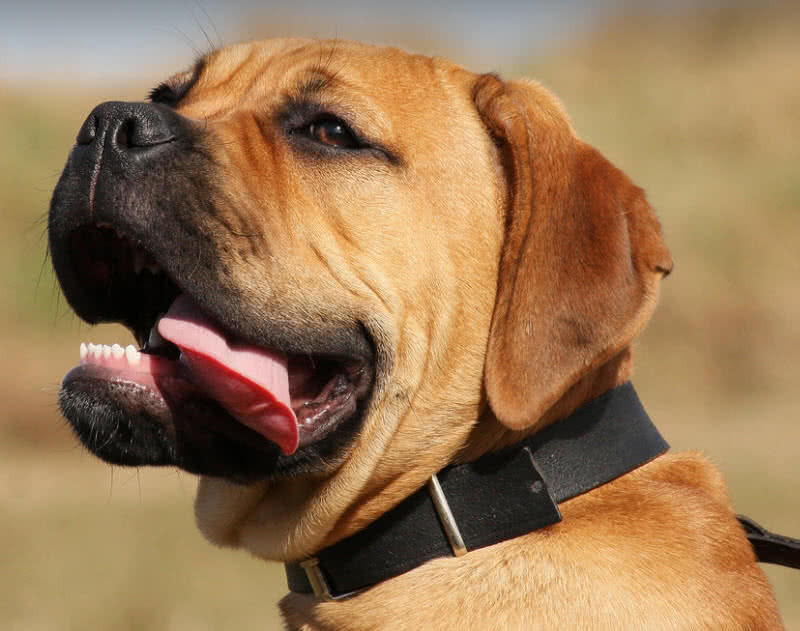 A fully grown male bullmastiff has a between 64 and 69 c.m and weight up to 59 kg. This breed embodies tremendous strength. So, a bullmastiff can even take down a fully grown man. But, at first, they make an intimidating growling on noticing a suspicious stranger. If the stranger still won’t leave and tease back, the dog would immediately attack.